Vertigo is the sensation that everything is spinning or whirling around you or that you are spinning while the world around you stands still. Accompanying this sensation is often nausea, vomiting, and double vision. 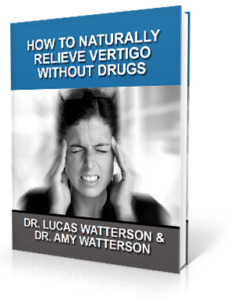 Vertigo is not a disease or condition all on its own. Rather, it is a symptom of many other health conditions. If you are experiencing vertigo, it is important to dig beneath the surface of the symptom to figure out why. How Does the Body Keep its Sense of Balance? Eyesight – information taken in through your eyes is processed by the brain that provides cues as to how you are oriented relative to the environment around you. Muscles, skin, and joints – sensors in your muscles and joints called proprioceptors are sensitive to pressure and stretch. When your body moves, it activates these sensors that allow your brain to understand where our body is positioned in space. Vestibular system – the vestibular apparatus is located within each of your inner ears and is made up of two gravity-detecting organs and three fluid-filled semicircular canals. The vestibular system provides sensory information about equilibrium, spatial orientation, and motion, particularly concerning head position. To learn more about the connection between head and neck injuries and vertigo request our complimentary e-book by clicking the image below. All of this information gathered by these components is sent to the brainstem, the part of your central nervous system that connects the brain within your skull to the spinal cord protected by your spinal column. When everything works properly, the information is processed, and the necessary adjustments are made so that you can maintain your desired posture and stay balanced. Vestibular disorders occur when a problem arises in the way these signals are sent and received, and this can lead to vertigo. BPPV (Benign Paroxysmal Positional Vertigo) – BPPV causes short bursts of vertigo that are associated with a change in head position, such as rolling over in bed. Episodes usually last for a minute or less and can be accompanied by nausea or vomiting and abnormal eye movements called nystagmus. BPPV occurs because a calcium particle that is normally embedded in one part of the inner ear migrates into another area where it doesn’t belong. This disturbs normal balance signals and essentially tricks the brain into thinking you are moving. The Epley maneuver is commonly used to try and relieve symptoms. Meniere’s disease – Sometimes referred to as endolymphatic hydrous, Meniere’s disease can cause disabling bouts of vertigo. There are other symptoms associated with the condition, including fluctuating hearing loss, ringing in the affected ear (tinnitus), and the sensation of fullness in the ear. 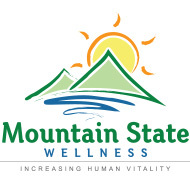 People ages 20-50 are most typically impacted. Those suffering from Meniere’s disease experience an excess of fluid within the inner ear either due to increased production or decreased reabsorption. Episodes can last from an hour up to an entire day. Labyrinthitis – Labyrinthitis is a bacterial infection of the inner ear that can cause severe vertigo, loss of balance, and hearing loss. People with labyrinthitis will commonly also have pain and fever. People who have had repeated otitis media (middle ear infection) or have perforated their eardrum may be at greater risk of developing this vertigo-causing condition. Vestibular neuronitis – The vestibular nerve, which helps to control balance, connects the inner ear to the brain. Likely due to a virus, it can become inflamed and cause sudden, severe vertigo attacks. The condition usually lasts 7-10 days and the first vertigo attack is usually the most severe. If you recall from above, the brainstem acts as a relay station for all of the balance signals obtained by the various parts of the body. The brainstem is responsible for processing these signals and then relaying the appropriate response to the right place so that you can maintain your sense of balance. Your brainstem is protected by the upper two vertebrae in your neck – the atlas (C1) and axis (C2) – as it exits from the base of the skull. These two small bones not only protect this critical part of your central nervous system, they also bear the weight of the head and provide it with the ability to move and turn in all directions. Vertigo and the neck are connected. In fact, many vertigo sufferers that come to see us can recall some type of head or neck injury in their past, ranging from a mild sports injury or car accident to a major incident. Because the atlas is so freely movable, it makes it particularly prone to misaligning when an injury occurs. If the atlas is not properly aligned it can cause irritation to the brainstem, distorting normal brain-body communication as well as blood and cerebrospinal fluid (CSF) flow. This can be a contributing factor in the development of vertigo-causing conditions. If you are dealing with any of these four most common causes of vertigo, then having your neck examined by an upper cervical chiropractor can be the first step towards getting to the underlying cause of the problem. Upper cervical care focuses on this crucial area of the spine, and we are specially trained to provide the most precise adjustments possible for each individual patient. NUCCA care is extremely gentle, making it suitable for vertigo sufferers of all ages and conditions. For more information and to see if our approach is a good fit for you, contact us for a complimentary consultation.